The New Year’s party isn’t over and in fact may be just beginning for your accounting practice because our New Year’s Resolution is to help you grow your billings by a minimum of $100,000 in 2018. Although the thought of adding an additional $100,000 in billings to your practice should make you feel like dancing we’re sure you’re wondering how we can help you do it. The same way we’ve helped accountants nationwide increase their billings last year by more than $100,000. Here’s your chance to start the new year off with a real plan to increase your billings in 2018. Call (888) 326-9300 to speak with one of our representatives about tailoring a marketing program that will grow your accounting practice from $50,000 to as much as $100,000 or more in billings in 2018. 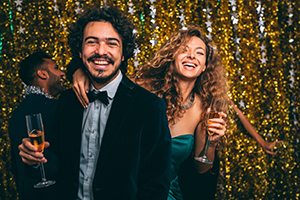 Be the first to comment on "Your Accounting Firm’s 2018 New Year’s Party May Be Just Beginning"